Today has been a good day much better than yesterday where I had some serious car drama and spent a lot of the day panicking! Tonight I went out for a nice meal for a good friends birthday and am now very full and tired, just sat watching some TV. Rather than doing a post on what I wore I thought I would do a small post on some recent purchases I have made. I graduated this summer and am just working part time and doing my internship so for the first time in a long while I haven't been able to spend on clothes, something I was always able to do before. This makes these purchases even more special because I have to choose wisely at the moment! 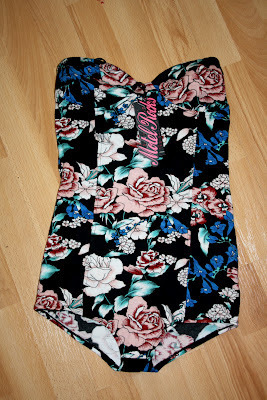 Second we have the Hilary bodice in navy rose, also from Motel. This was an item I had seen a few times and I just love the print so much! There are a lot of items in this print and they are all so gorgeous but I thought the bodice was really simple and versatile, plus it can be worn with so many items! The only problem with it is the top bit is very loose and I have to pin it to my bra or tape it to me, I think this is a top for the small chest girl because if I'm falling out of it then anyone above a C cup is risking some serious nip slip! It is lovely though and looks great with all black, as it's a subtle and quite autumnal use of floral. 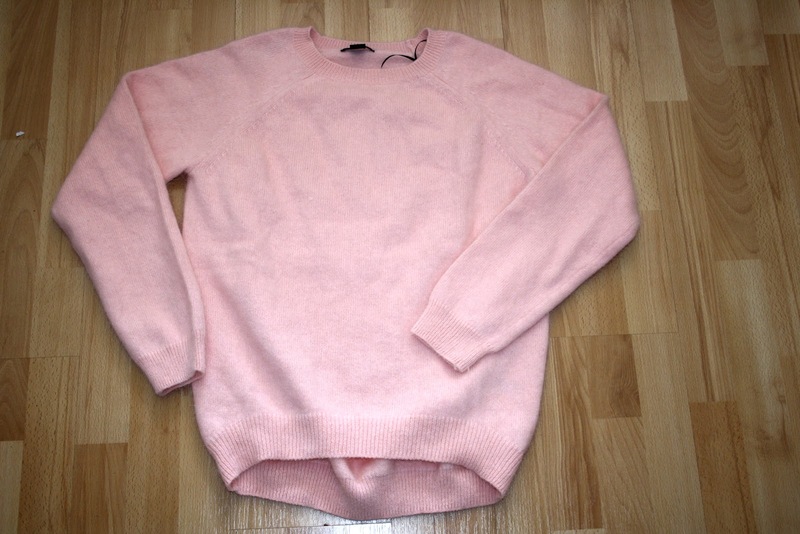 Lastly is the pink fluffy jumper from the Lana Del Rey collection at H&M! I have seen this jumper on TV adverts, magazine adverts and on the side of bus stops and fall more in love every time I see it. It makes me feel like a pink lady and is so soft and comfortable, however if you have sensitive skin like me I would recommend wearing a vest top or leotard underneath as it was a bit irritating. The other thing is as this jumper is wool it gets fluff EVERY WHERE! When I first tried it on it was on my jeans, in my hair, my mouth and all over my room, so it might be a good idea to hand wash it before wearing to prevent it covering everything and everyone in your life in pink fluff! It is so lovely I can't stop gushing about it, and looks great simply with jeans and loafers, plus because its such a soft colour it goes with a lot of basics like grey, black and navy. aw this is so gorgeous! please check out mine and see what you think if i can blog about motel maybe send some samples etc. OMG! I love Hillary Bodice so much! fab choice.